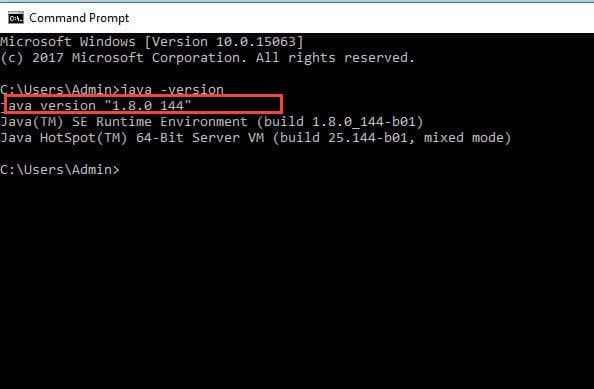 Java 8 Update 151 has been released and available for download to upgrade Java version from update 144 to the latest one. 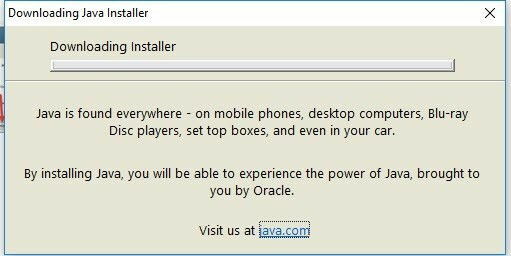 You may find the offline installers for Java 8 Update 151 for all Operating Systems at the end of the article. Java 8 update 151 has been released with some quality improvements and new features. I have added the list of all the new features here and download links for the offline installer. IANA Data 2017b: JDK 8 update 151 contains IANA time zone data version 2017b. Default timeouts have changed for FTP URL handler: Timeouts used by the FTP URL protocol handler have been changed from infinite to 5 minutes. Demo references in Solaris install documentation: Demos were removed from package tar.Z bundle. Demo packages remain in the existing Solaris patches. New Security property to control crypto policy: This release introduces a new feature whereby the JCE jurisdiction policy files used by the JDK can be controlled via a new Security property. New System Property: A new system property has been introduced that allows users to configure the default key size used by the JDK provider implementations of KeyPairGenerator and AlgorithmParameterGenerator. DSA KeyPairGenerator implementation: The DSA KeyPairGenerator implementation of the SUN provider no longer implements java.security.interfaces.DSAKeyPairGenerator. Collections use serialization filter to limit array sizes: Deserialization of certain collection instances will cause arrays to be allocated. New defaults for DSA keys in jarsigner and keytool: For DSA keys, the default signature algorithm for keytool and jarsigner has changed from SHA1withDSA to SHA256withDSA and the default key size for keytool has changed from 1024 bits to 2048 bits. Add warnings to keytool when using JKS and JCEKS: When keytool is operating on a JKS or JCEKS keystore, a warning may be shown that the keystore uses a proprietary format and migrating to PKCS12 is recommended. keytool now prints out information of a certificate’s public key: Keytool now prints out the key algorithm and key size of a certificate’s public key, in the form of “Subject Public Key Algorithm: -bit RSA key”, where is the key size in bits. 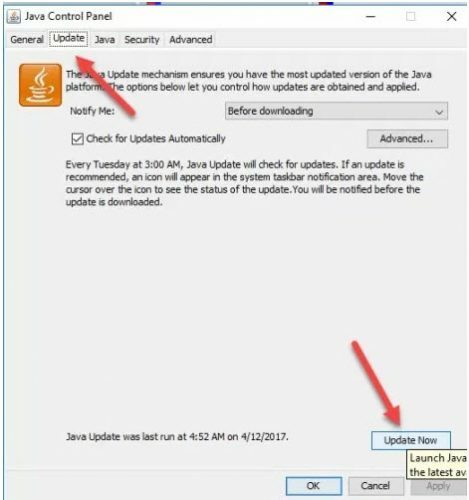 Java 8 update 151 will expire on January 16, 2018 and the new critical patch update will available for sure. 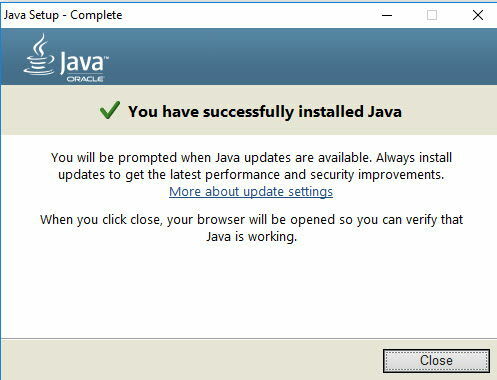 After checking the Java version, you may find whether your version is updated one or not. If it isn’t updated one then you can update it automatically via Control Panel app. You have to proceed with following simple steps to update it. Java 8 Update 151 is verified on following platforms.